This little milling machine is great for quickly making prototypes of PCBs and parts. In this guide we'll take a look at the process of milling double-sided PCBs. In this project, we'll make a breadboard adapter for the Adafruit Circuit Playground. Circuit playground express is a great board with lots of sensors and components. 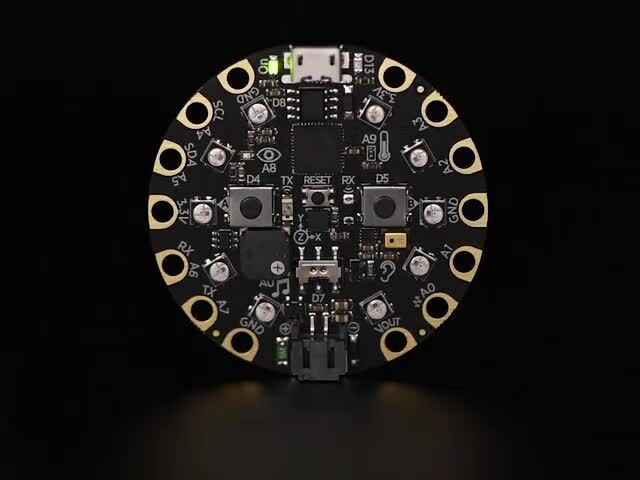 There’s lots of example projects, libraries and code on the Adafruit learning system. There’s certain projects where you need to connect other components like motors and servos. Using alligator clips is a nice solder-free way to connect things but not always the most robust. Fabricating a custom PCB adapter with standard 0.1" headers is a great way to attach jumper cables and other connectors Circuit Playground Express. Dave Astels’s learn guide shows how to make your own breadboard adapter using perf board, standoffs and screws. This allows you to simply plug-in jumper wires making a much more sturdy connection. You can purchase the Circuit Playground Breadboard Biscuit by Dave on Tindie. You can 3D print a mini dock for your circuit playground express (or any USB dev board) to display it on your desk. This props it upright allowing you to interact with the on-board components. See our learn guide to build your own. Here's a list of some handy things I use when cutting some PCBs. This guide was first published on May 09, 2018. It was last updated on May 09, 2018. This page (Overview) was last updated on Apr 19, 2019.